There’s nothing wrong with being fat. In other cultures, fatter means more fertile (for women), big emphasis on “other cultures.” However, there should be two classifications for “fat,” which is “healthy” fat, and the not-so-healthy fat. Determining which one you are in there just got harder because science just confirmed that a happy relationship can make you fat. That’s quite a conundrum there, stay happily taken and gain weight or sad and lonely but fit. 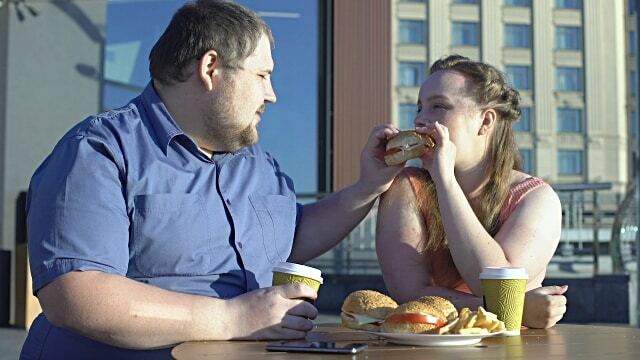 There are exceptions, of course, but according to the studies conducted by researchers from Southern Methodist University in Dallas, happy relationships can be a culprit of your munchy midsection. The said institution followed 169 newlywed couples for four years in order to come up with such a conclusion. “Satisfaction is positively associated with weight gain. Spouses who are more satisfied tend to gain more weight, and spouses who are less satisfied tend to gain less weight,” according to lead researcher, Andrea Meltzer. Additionally, the happy couples tested demonstrated an increase of 0.12 in BMI every six months on average. That means happy couples get fatter every half-a-year or so. The researchers blame the desire to have a new partner for fitness in unhappy couples. Generally, the unsatisfied partner tends to maintain a trim figure in hopes of being ready for another mate, either consciously or unwittingly. Of course, there are other factors, such as vanity, effects of advertisements, profession, lifestyle, etc. Meanwhile, happy couples are less likely to maintain their figure since they plan on sticking around and settling. Based on the research, the fatter couples do tend to display comfort and joy with their marriage so far.